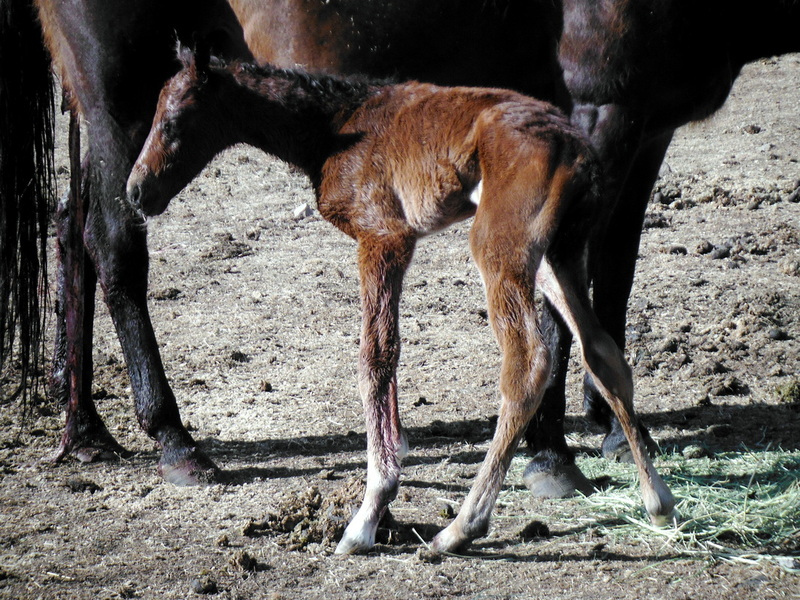 Born 7:30 am, this is a big, healthy and strong colt. 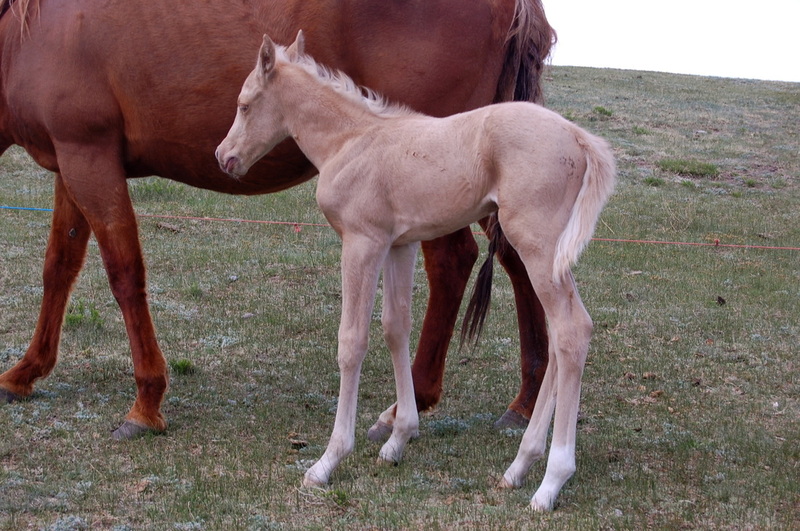 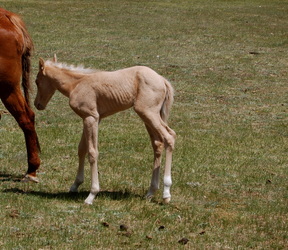 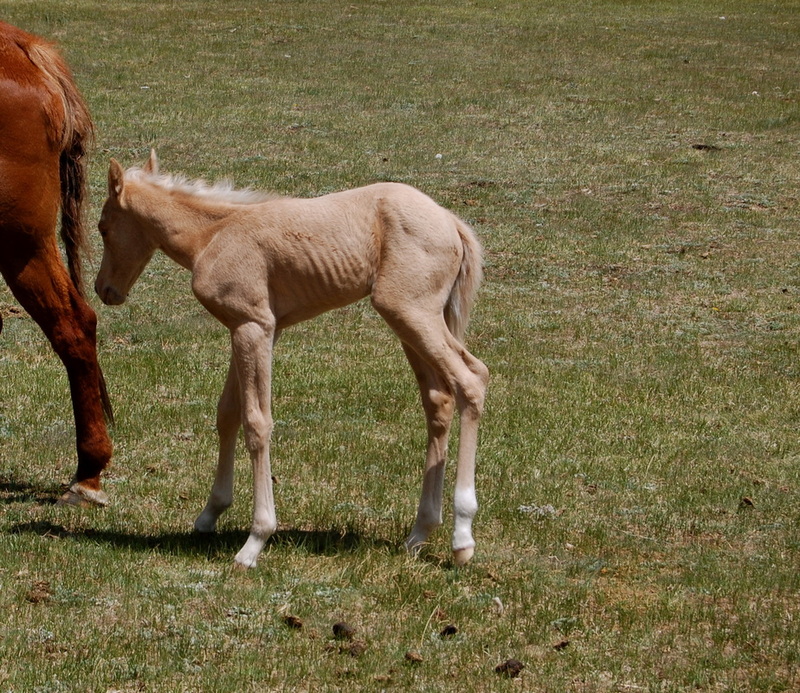 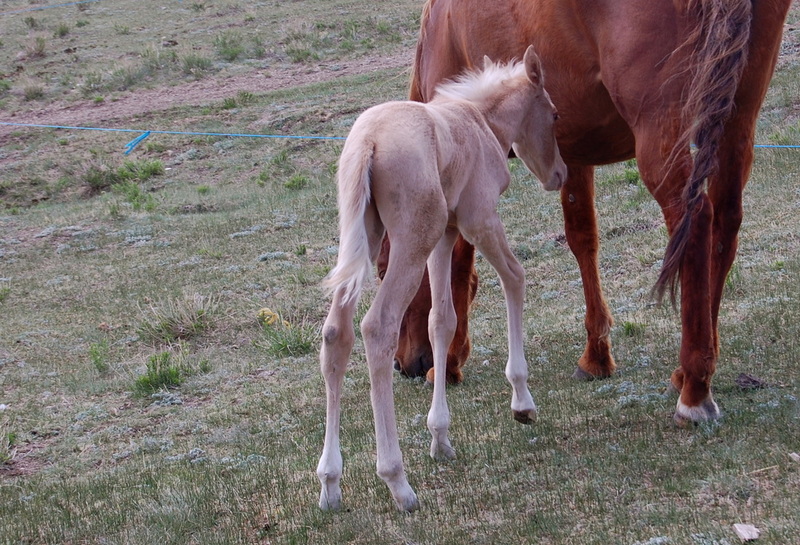 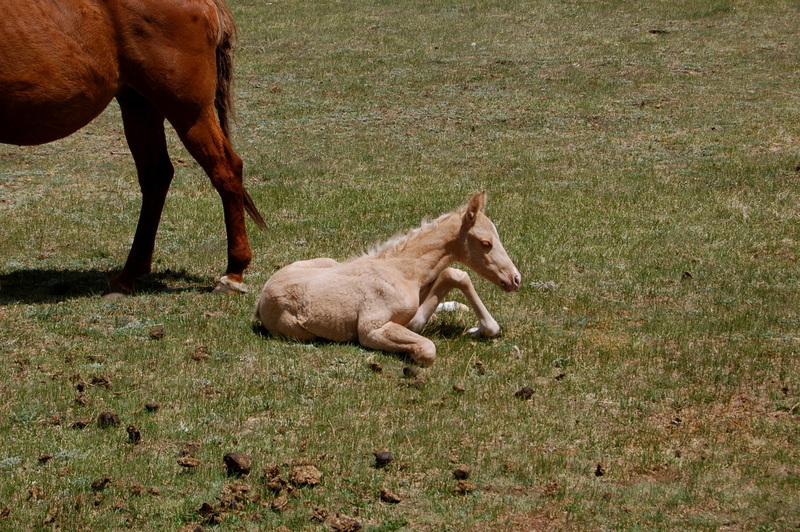 He is a beautiful light golden palomino color and has legs as tall as the sky. 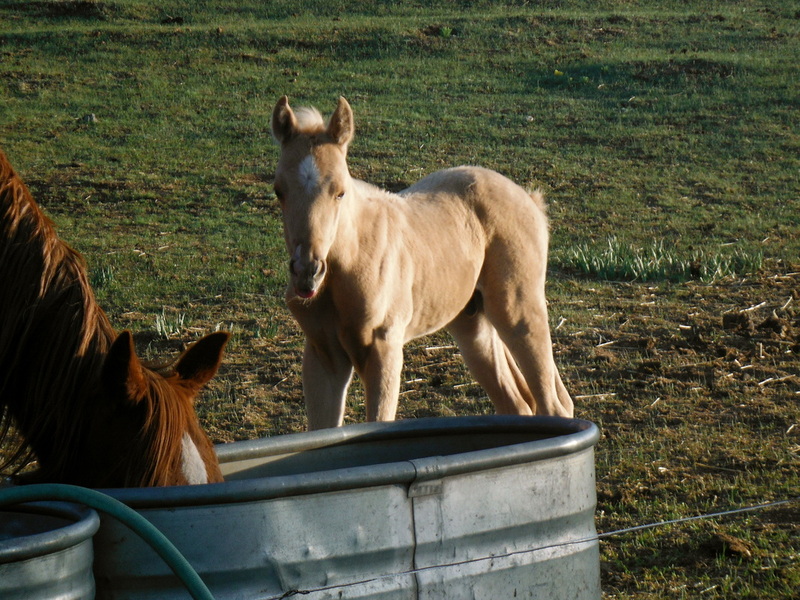 Big plans for this colt as he grows! 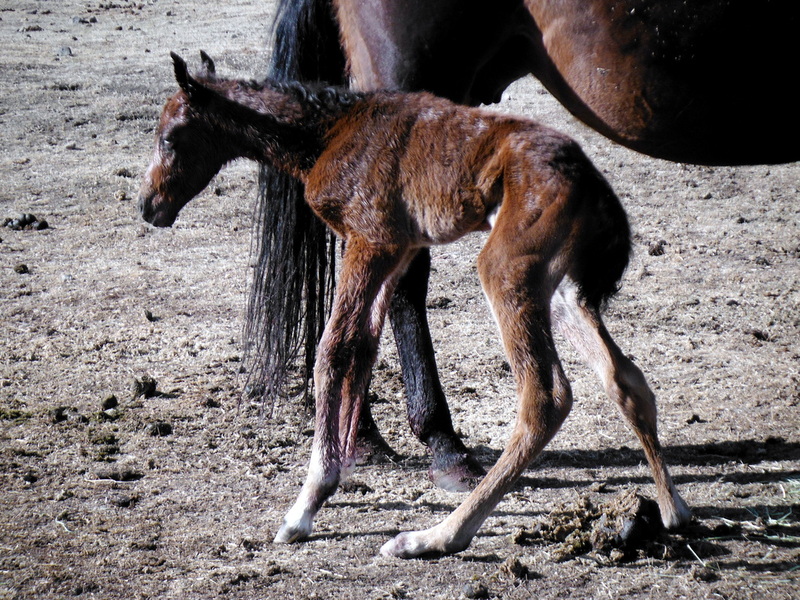 Born early at 3:30 am on mothers day 5/12/13. 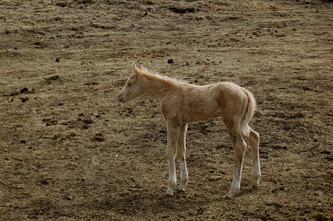 He is big, strong and healthy. 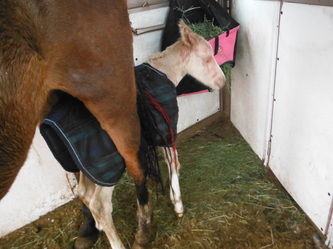 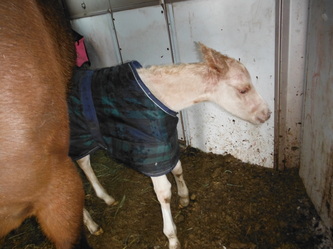 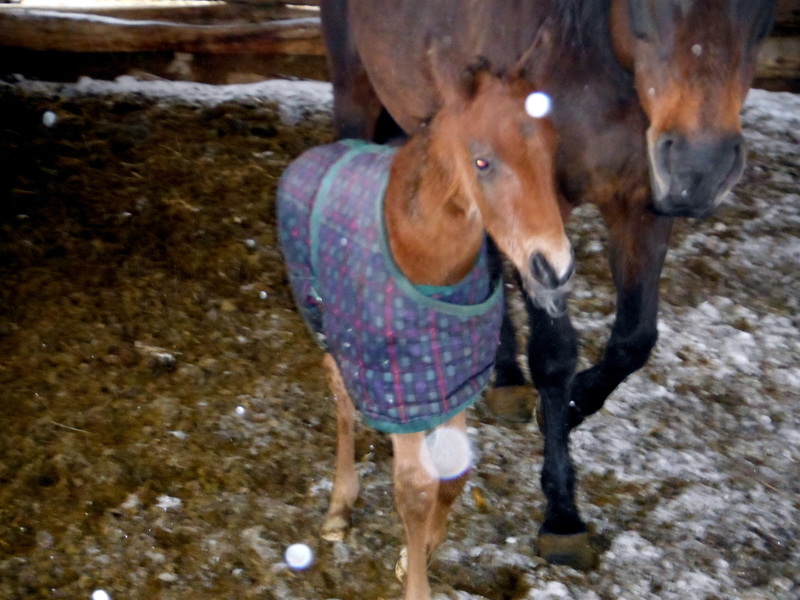 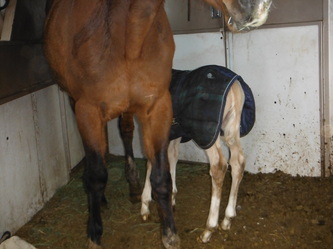 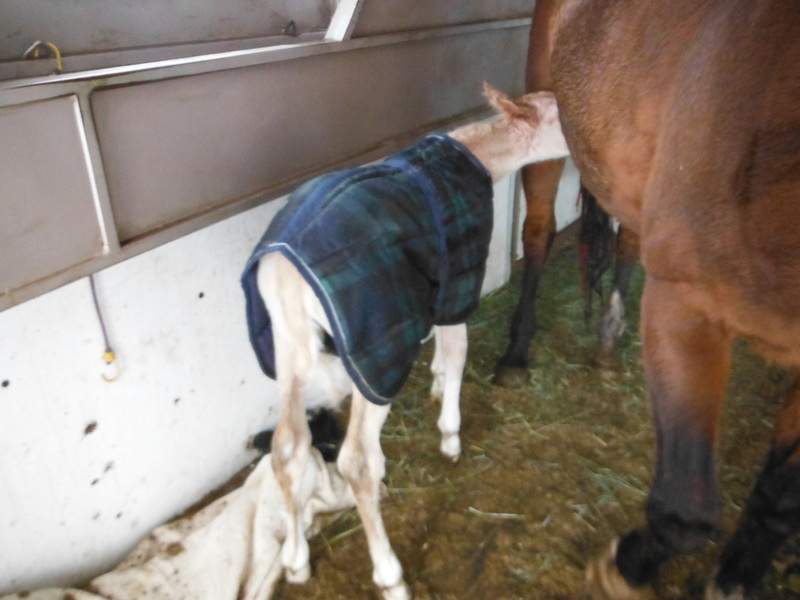 This little filly was born amongst the snow storm at 6:15am. 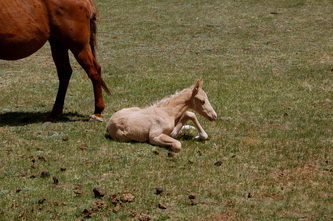 She has three bright white stockings and the prettiest head. Straight legs and she is a fighter. 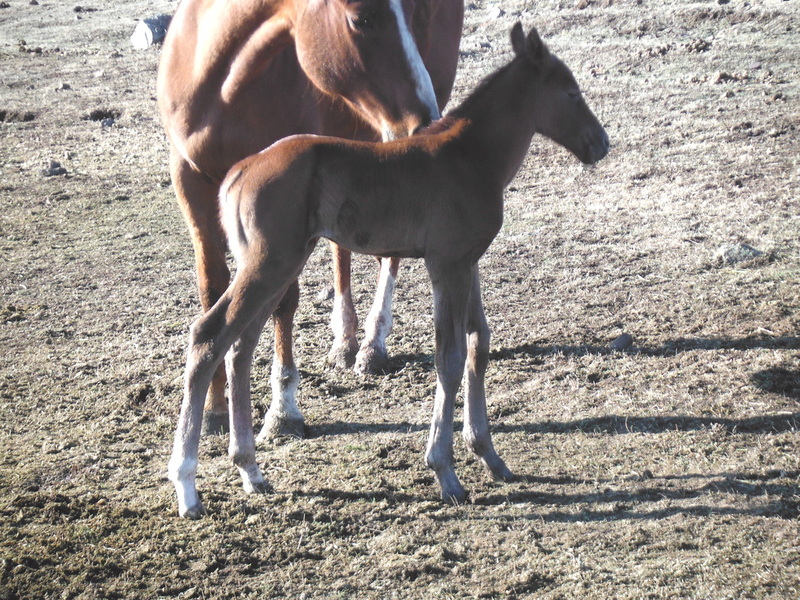 Pistol is out of one of our best performing mares and we will be hanging on to this one to see if she can perform in the arena like her momma does. He was born at 7:45 on 4/29/13. 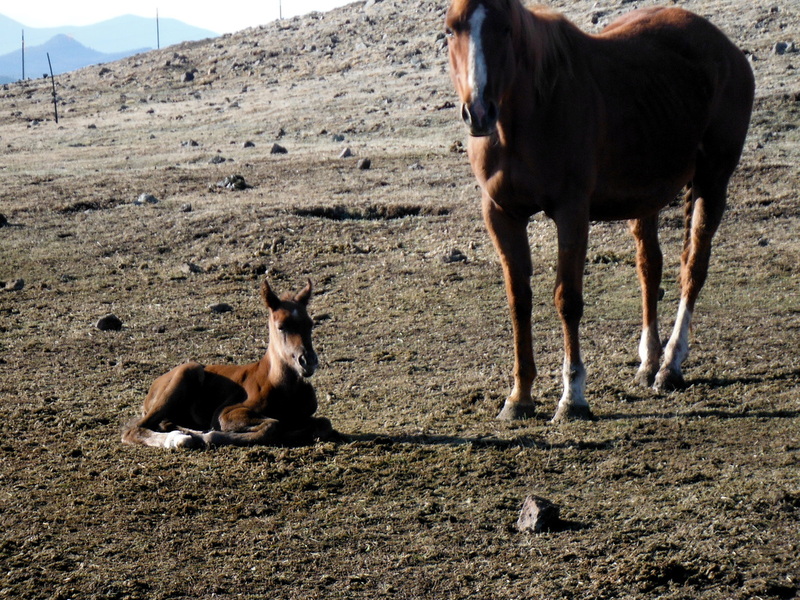 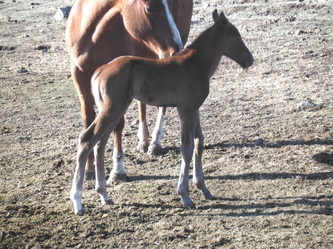 He is strong and healthy and our first baby of 2013. Seamus was sold in utero and will be going to his new home once he is weaned. 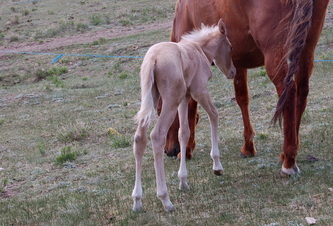 His new family gave him the name Seamus and it is quite a fitting name for this little guy. 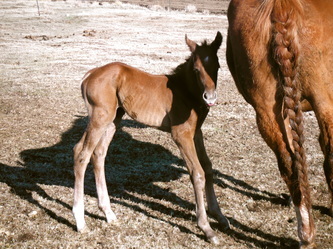 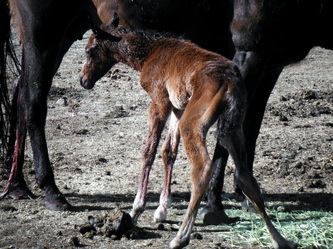 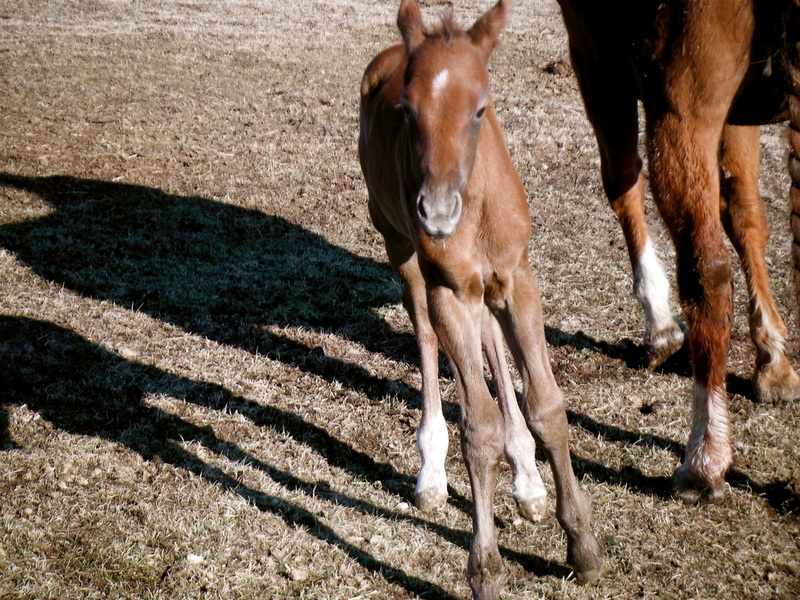 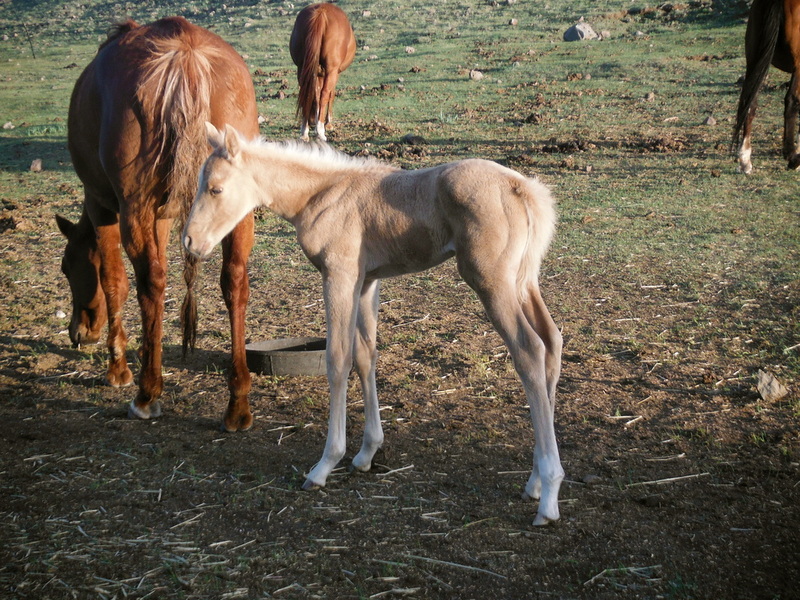 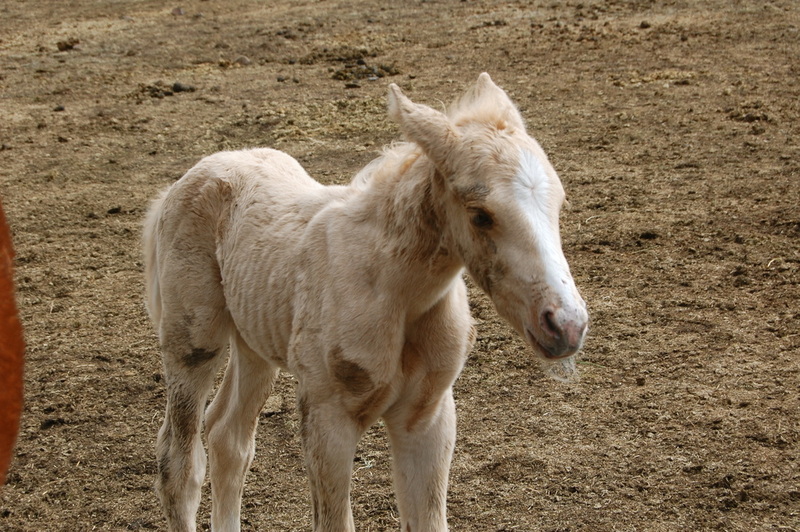 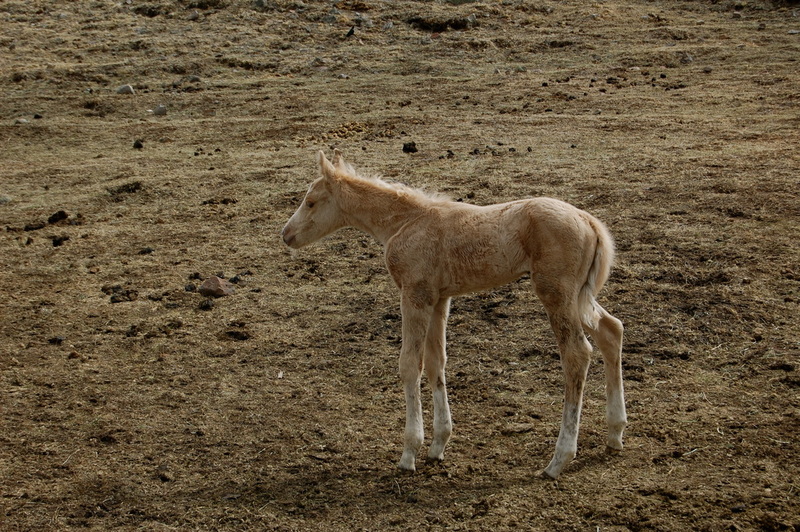 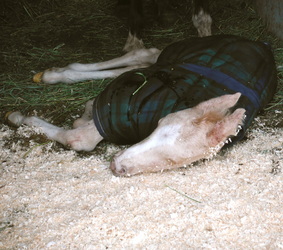 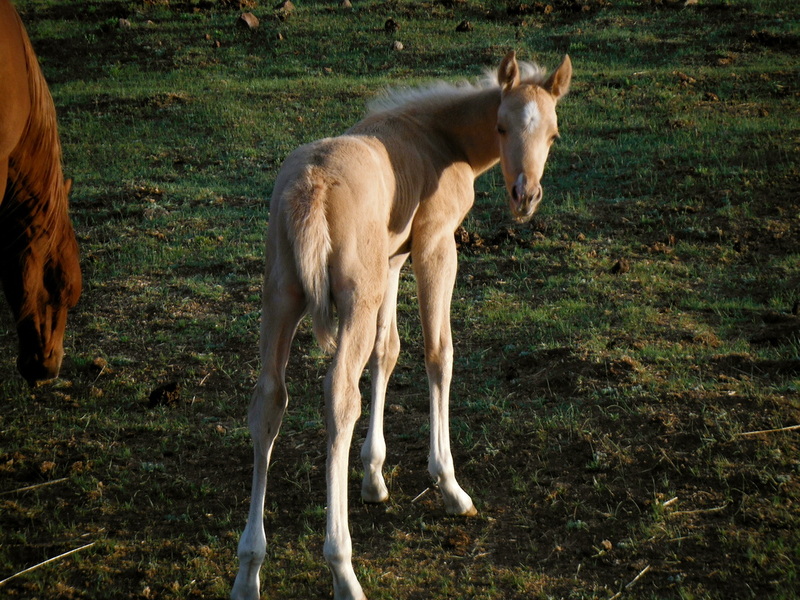 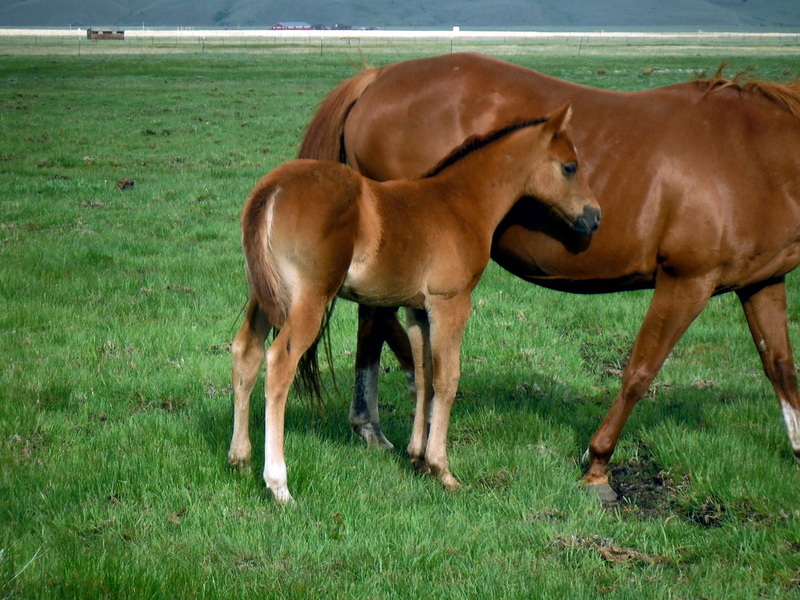 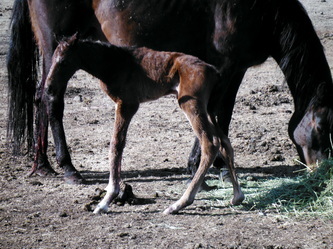 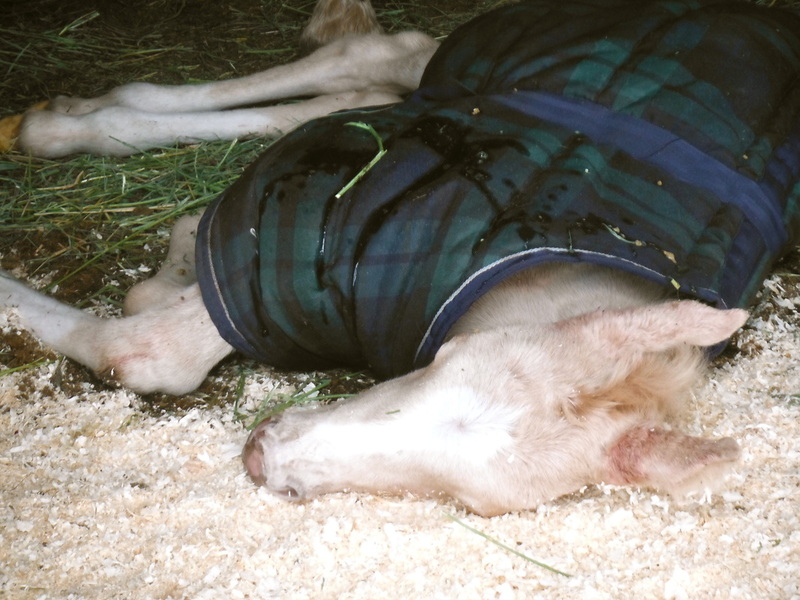 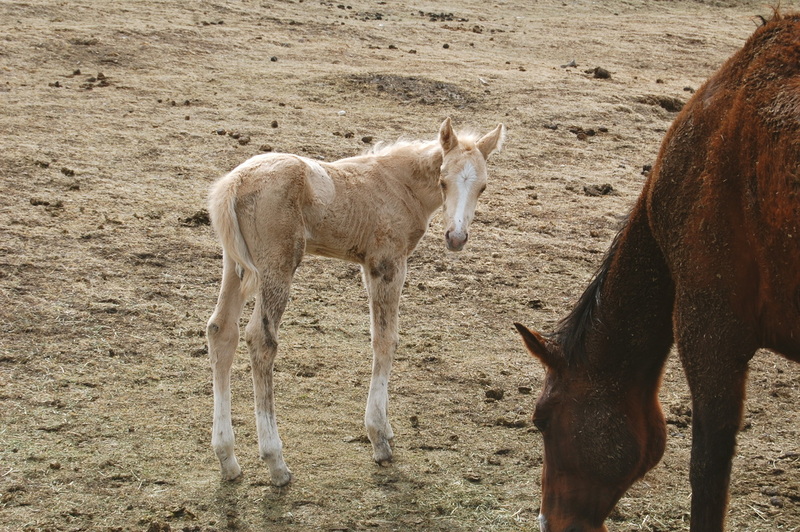 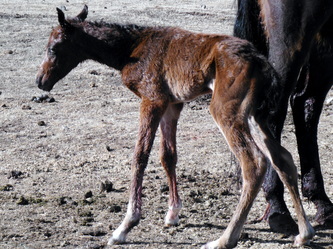 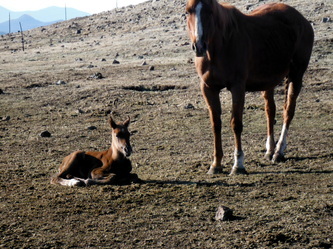 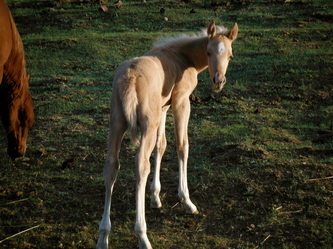 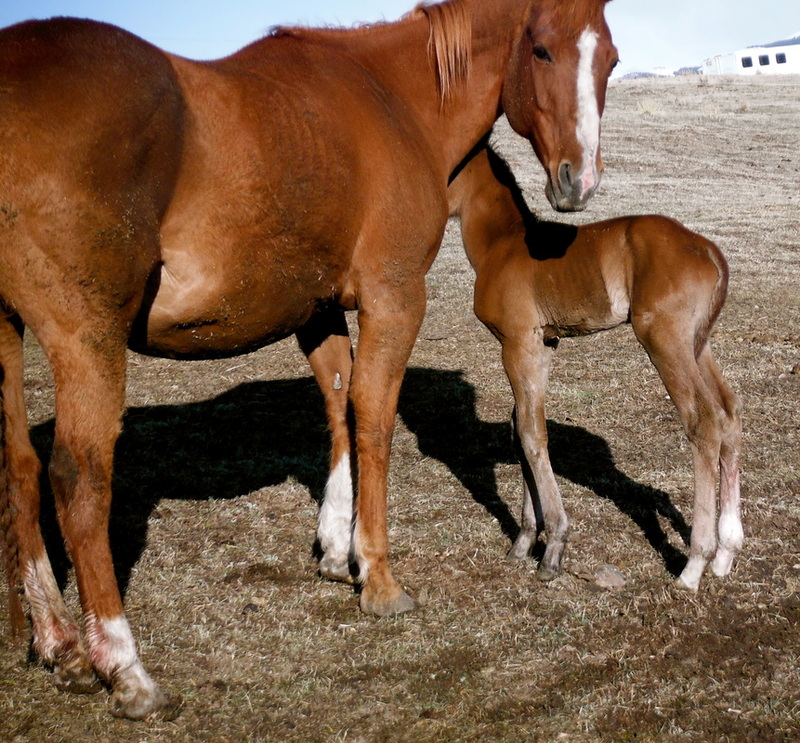 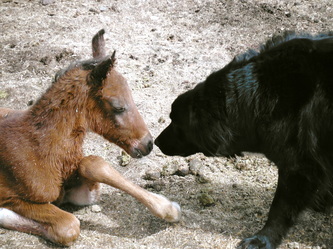 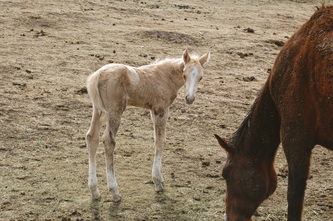 Newborn Foals - This option is for buyers who select a new born foal and plan to pick up the foal at weaning age. You select the foal you want. 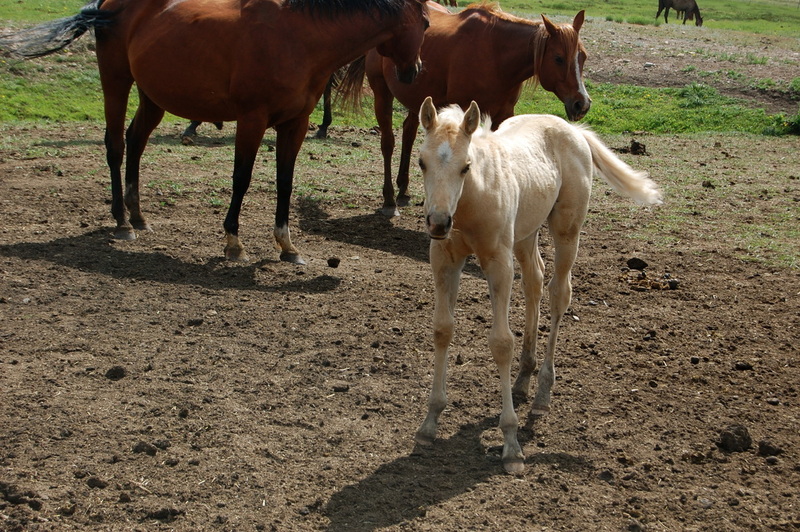 DISCOUNTS FOR PAYING UP FRONT IN FULL for your foal or a non-refundable deposit is accepted to hold your foal for you, and take it off the market. Minimum deposit is 25% of the purchase price or at least $250 (whichever is higher). 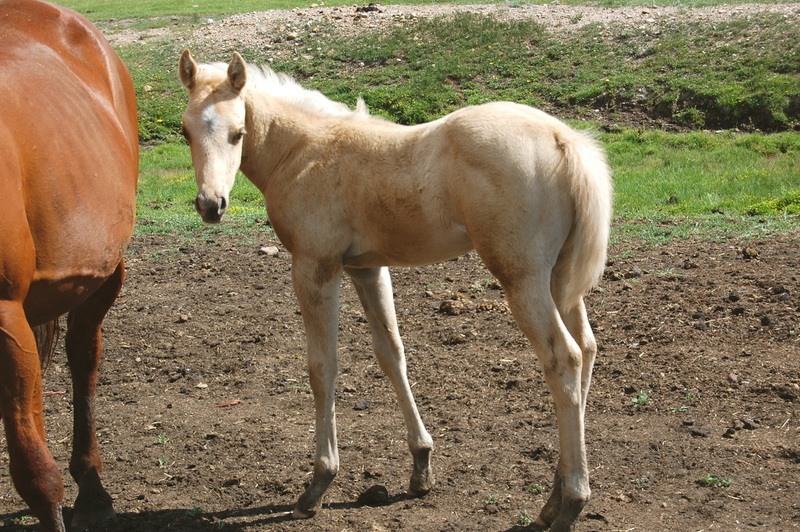 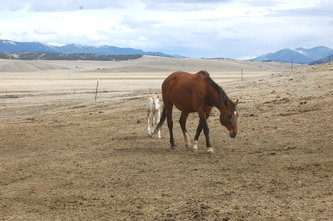 Monthly payments on the foal are permitted with the balance due by weaning age. 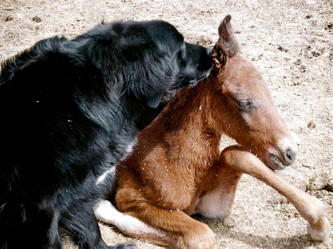 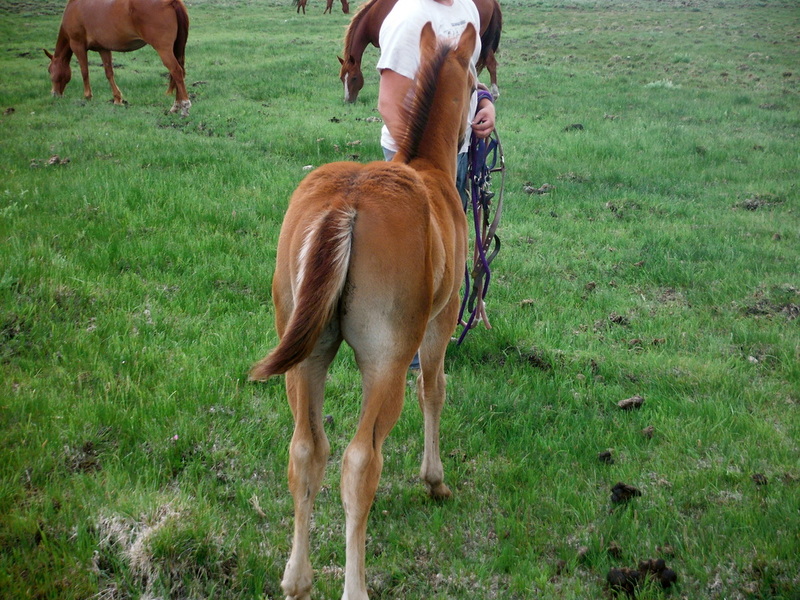 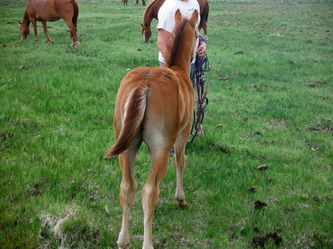 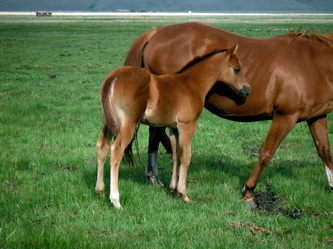 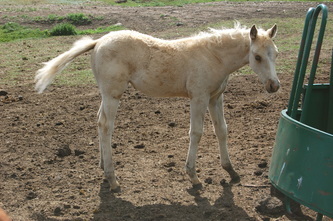 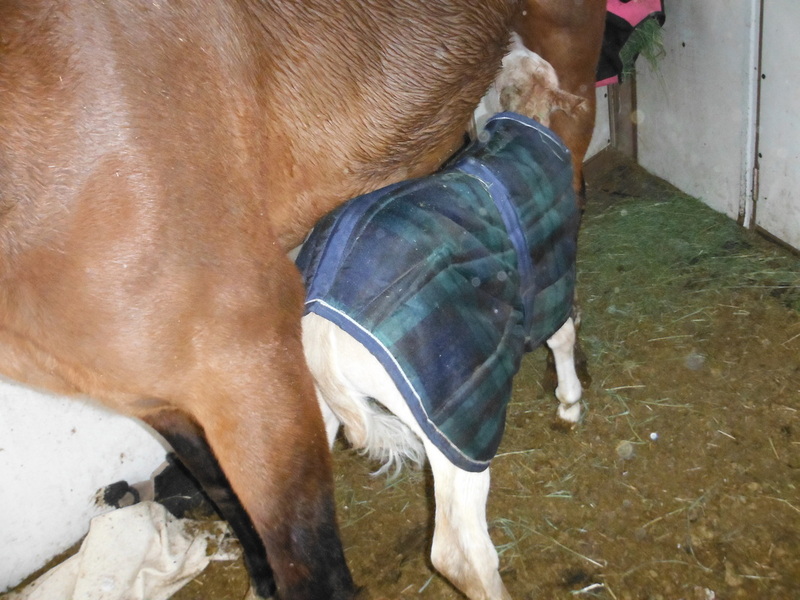 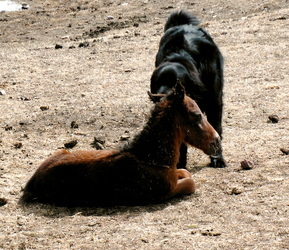 I keep the foal until weaning age or around 4 months old, and you pick up the foal at weaning time. 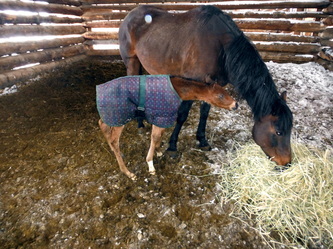 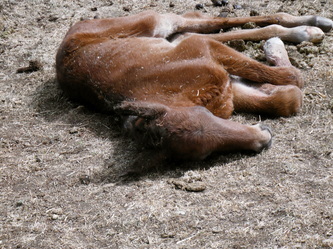 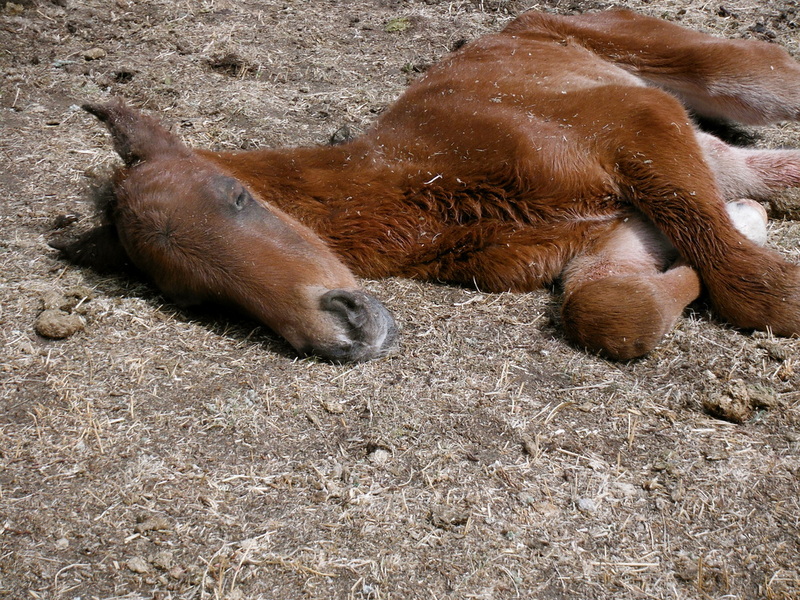 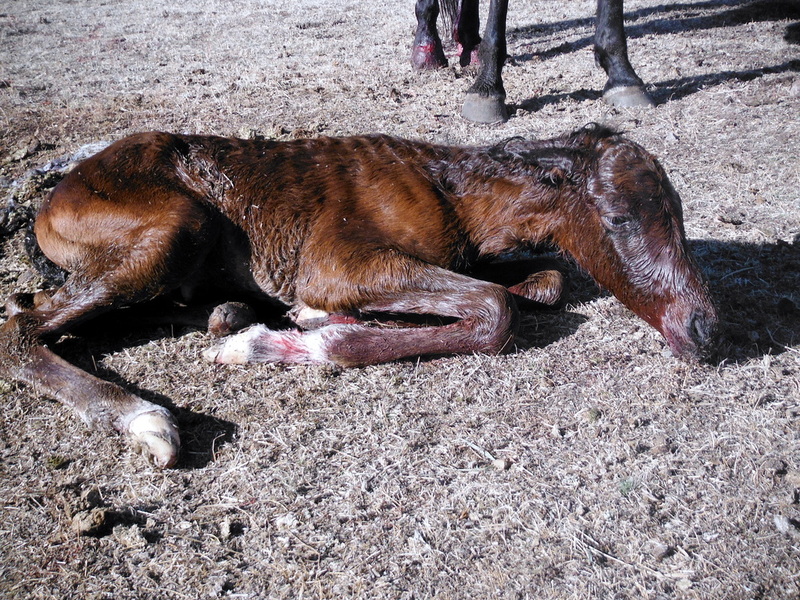 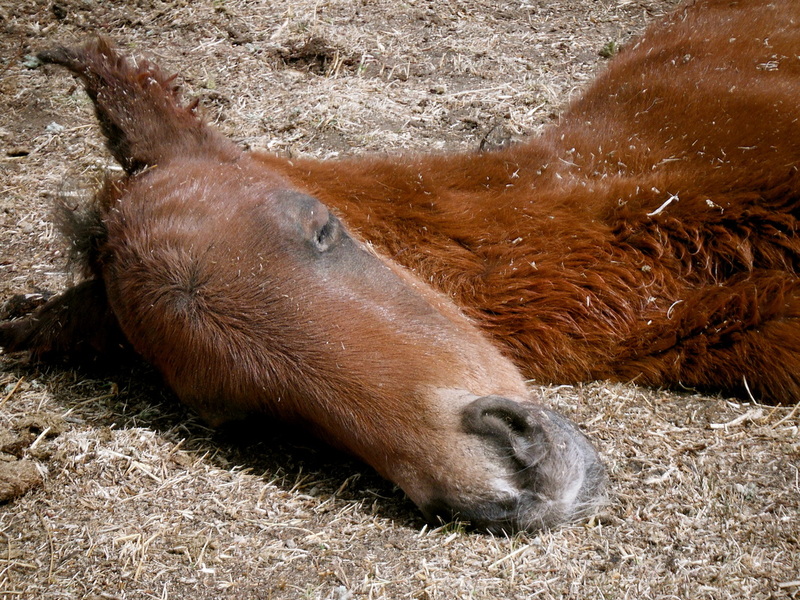 If the foal is picked up at weaning time, then there will be no additional charges for feed, or care. 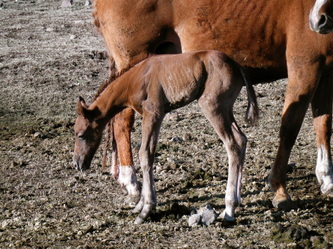 If we agreed to set up the payments to extend beyond the age of 4 months, then board will be charged for the foal after the age of 4 months. 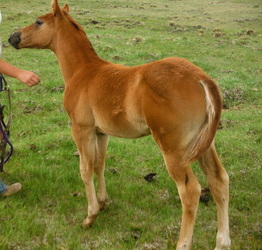 Foals are given de-wormer at 10 days of age and again at weaning. First vaccinations are done at 6 months of age if the foal is still with us at buyer's expense. 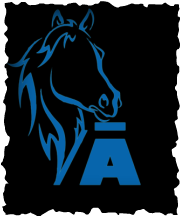 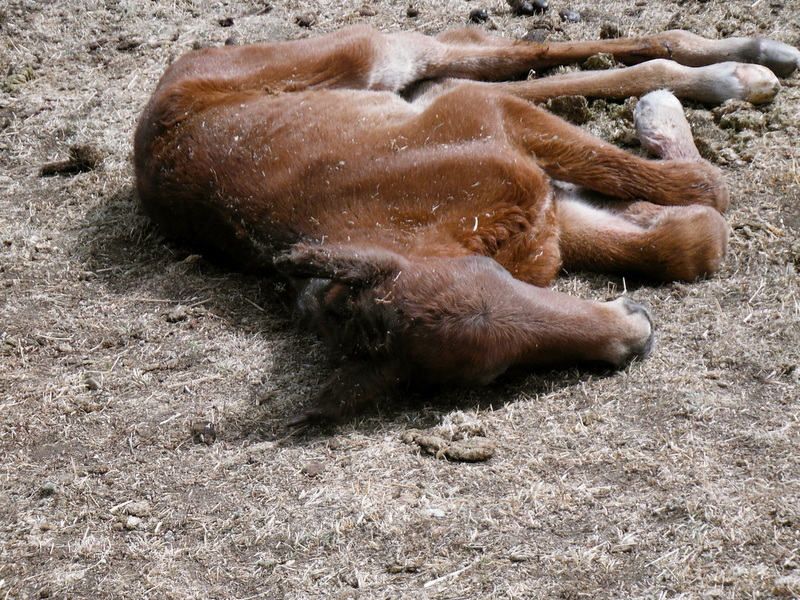 Ownership of foal will remain with the seller along with any Registration Papers, Registration Applications, and/or Transfer until after the foal has been paid in full, any board, vet bills and expenses have been paid, and foal has been picked up. Foal will not be allowed to leave unless paid for in full and all expenses are paid.